Newly elected UAW President Gary Jones is greeted by a delegate during the 37th Constitutional Convention in Detroit on Wednesday. 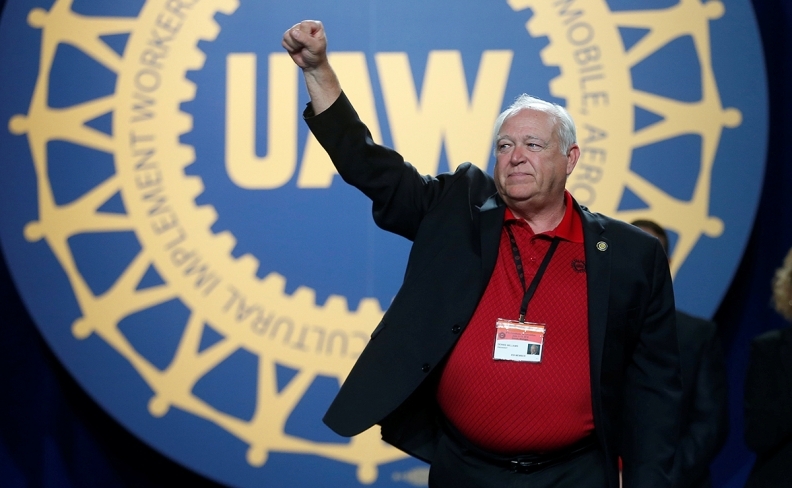 DETROIT -- UAW delegates on Wednesday overwhelmingly elected a leadership-approved slate of officers that includes unconventional candidate Gary Jones, a regional director, as president. Opposition to the UAW administrative caucus-selected slate, including two floor-nominated presidential candidates, gained little traction here at the union's 37th Constitutional Convention, despite a widening federal probe into joint training centers run by the union and Detroit automakers. The probe focuses especially on the center operated by the union and Fiat Chrysler Automobiles. The elected slate includes incumbent vice presidents Cindy Estrada and Terry Dittes, who replaced Norwood Jewell upon his unexpected retirement in January. Newly elected officers include regional directors Rory Gamble and Ray Curry. Curry will succeed Gary Casteel who abruptly announced plans to retire this year as the union's secretary-treasurer. Jones is expected to announce positions of each vice president on Thursday. 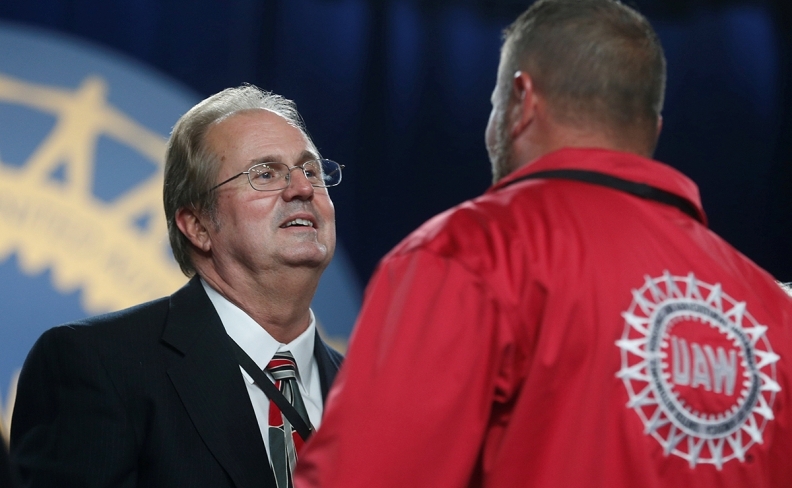 Outgoing UAW President Dennis Williams appeared on stage at the convention on Wednesday. Because officers are rarely reassigned from oversight of Detroit automakers, Estrada is expected to continue leading the union's GM department and Dittes could remain over the embattled FCA department. That would leave Gamble to replace retiring Vice President Jimmy Settles with Ford. The officers will oversee collective bargaining with GM, Ford and FCA next year. Alternative presidential candidates included outspoken UAW members Gary Walkowicz, a Ford worker who has run for the position twice before, and Brian Keller, an FCA/Mopar worker. Delegates also elected two new UAW International trustees as part of Jones' slate.